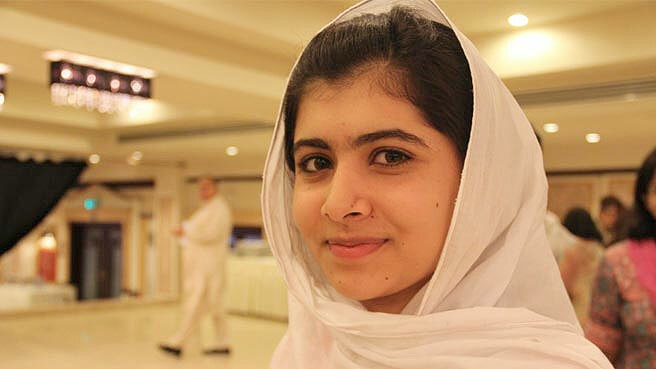 Teenage activist Malala Yousafzai, shot in the head by a Taliban militant last October after campaigning for girls right to education, has won the prestigious International Children's Peace Prize, KidsRights announced Tuesday. "By awarding the 2013 International Childrenâ€™s Peace Prize... KidsRights shines the spotlight on a brave and talented child who has demonstrated special dedication to childrenâ€™s rights," it added. The passionate advocate for girls education was shot in the head by a Taliban gunman while on a school bus near her home in Pakistanâ€™s Swat Valley last year. She was given life-saving treatment in Britain where she now lives, but the attack galvanised her campaign for greater educational opportunities for girls. Malalaâ€™s brave fight back from her injuries and her speech at the United Nations in July have made her a leading contender for this yearâ€™s Nobel Peace Prize. It carries a cash value of 100,000 euros ($133,000) that is invested in projects relating to the winnerâ€™s cause. Last yearâ€™s winner was 13-year-old Cris "Kesz" Valdez for his work with Filipino street children while he himself was destitute.